Ah the humble pumpkin, the herald of the “holidays” – Halloween, Thanksgiving, Christmas. When Starbucks updates their Fall menu to “Pumpkin Spice Latte” we know its time to kiss our diets a fond farewell and dive into pumpkiny indulgence in all its many forms. Gather together pilgrims, it’s time to sing the praises of squash. Can we get an amen! 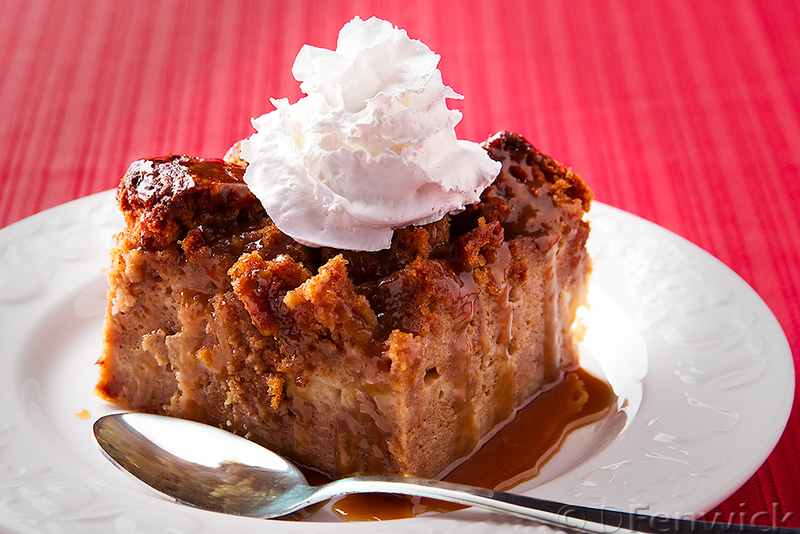 Our ode to the season is this delicious Pumpkin Bread Pudding. So easy, so delicious, you’ll love it as much as we do. Cut the pumpkin bread into 3/4 to 1 inch cubes and place into the 9 x 13 baking dish. Lightly beat the 8 eggs and whisk together with the 4 cups of milk, the spices and vanilla. Carefully ladle or spoon the mixture over the bread. Let the bread and custard mixture stand for 1/2 to 1 hour. Heat your oven to 350 degrees. Place the bread pudding into your oven on the middle rack and back for 1 hour to 1 hour and 20 minutes, until the custard is done. Place on a wire rack to cool. Serve warm or place it in your refrigerator to serve tomorrow. You can warm it or serve it cold. To serve, cut into portions and drizzle with caramel sauce and top with whipped cream. There is a good, easy caramel sauce on the Food Network website, here. Wishing you all a Happy Thanksgiving, may you see the many blessings of this life everywhere you look. To quote the Bard “What’s in a name? That which we call a rose. By any other name would smell as sweet”. I would argue the same could be said of well known recipes. History pegs this dish as either hitting the culinary scene in the late 1800’s or later in the 1900’s. It’s made with sour cream (or not), onions or mushrooms (or not), and sometime tomato paste – not! Our humble version has little in common with the modern version and more akin to the one noted in a Russian cookbook of 1861. 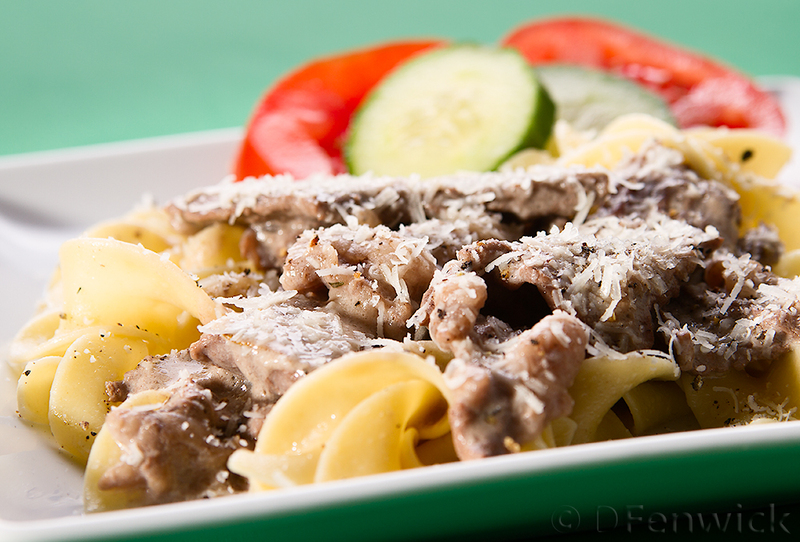 With an eye towards not inflaming the delicate constitution of our home’s inhabitants, our stroganoff began with strips of beef lightly fried (no flour) and then placed into a crockpot set on low for six hours. The beef was then left to have a “spa day” in a mixture of Burgundy wine and beef stock, one packet of Beefy Onion soup and a tub of Tofutti imitation Sour Cream. The herbs we used were Rosemary, Thyme and some Savory, all crushed into a fine powder with a mortar and pestle. It’s up to you what carbohydrate delivers the creamy goodness to your tastebuds – rice, pasta, baked potato or a humble slice of buttered bread. On a lazy Fall day, this is the perfect recipe to kick back and enjoy a slow cooked meal. “Did you say Ice Cream Bread? Seriously, I can have my cake and ice cream in one baked bite? !” Yes siree Bob! Three ingredients is all it takes. Our baking normally involves the consideration of a bovine-dairy free and wheat/gluten free restricted diet. So this adventure began with a pint of LaLoo’s Vanilla Snowflake Goat Milk Ice Cream, 1.5 cups of Bob’s Red Mill Gluten Free Flour (now available at Costco!) and approximately 2 tsp of baking powder. Set the pint out on the kitchen counter to melt, once it’s runny add the flour and baking powder. Pour this into a buttered loaf pan and bake at 350 degrees F. until a test toothpick comes out clean. Approximately 20-30 mins. Set the loaf out to cool for a few minutes before turning it out onto a rack to finish cooling to yummy perfection. Now, you may be looking at the photo above and saying “3 ingredients huh? I see fruit chunkies in that bread.” You would be correct. At the time we took this photo I had added a homegrown diced peach into the mix. It added a wonderful peachy undertone and made for a fond farewell to the riches of our peach harvest. 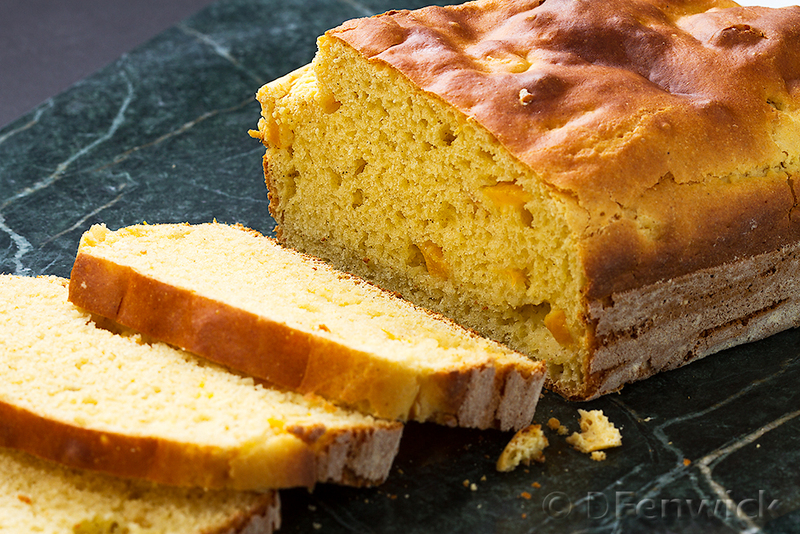 So next time your ice cream melts, don’t worry – make bread! In our humble home, quick and easy tend to be the meals we gravitate to. 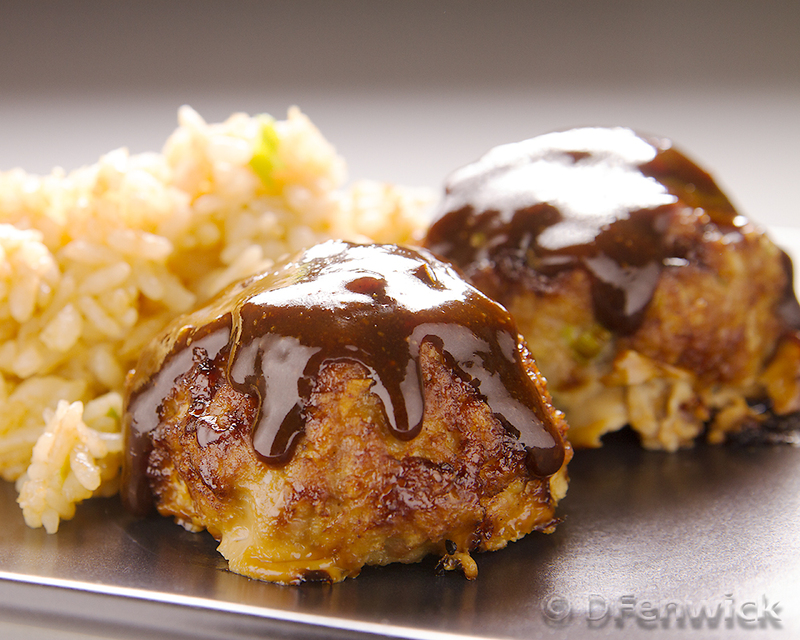 These little pork balls are fairly no fuss and are baked in the oven giving you time to decompress after a long day. They’d work well at a party with a selection of sauces too! Before you get started, set the oven to 400 degrees F, and prep a baking sheet with parchment paper. Now, start rolling these into balls and placing onto your prepared baking sheet. No more than 2″ in diameter, but if you’ve got little ones in the house, you could make them smaller for easier bites, just adjust your baking time accordingly. Divide out a portion of this sauce for later dipping and set aside. If there are eaters in your home that prefer a little more spice in their culinary life, add some Sriracha sauce to taste. Brush each of the meatballs with sauce from the original bowl and place sheet in oven. Check back in about 20 mins. Our oven is persnickety, but once they begin getting a lovely golden brown I sacrifice one on the alter of my tastebuds. If they’re cooked thru – they’re done! I serve these with homemade fried rice, but if your grocery store sells fresh Chinese food (ex: Raley’s) you could always buy a pint on the way home. Enjoy!